Ex brand and marketing whizz and mum-of-two, Steph Douglas, decided to pack in her corporate job and concentrate on the amazingness that is Don't Buy Her Flowers - an ingenious idea that was born shortly after her second child, and is now a full time business. The lovely lady brings a lot of cheer to new mums in the form of chocolate and pampering products instead of the usual flowers (which are still lovely, obvs). But decided us new mums want a big shot of TLC, not another thing to care for and worry about. 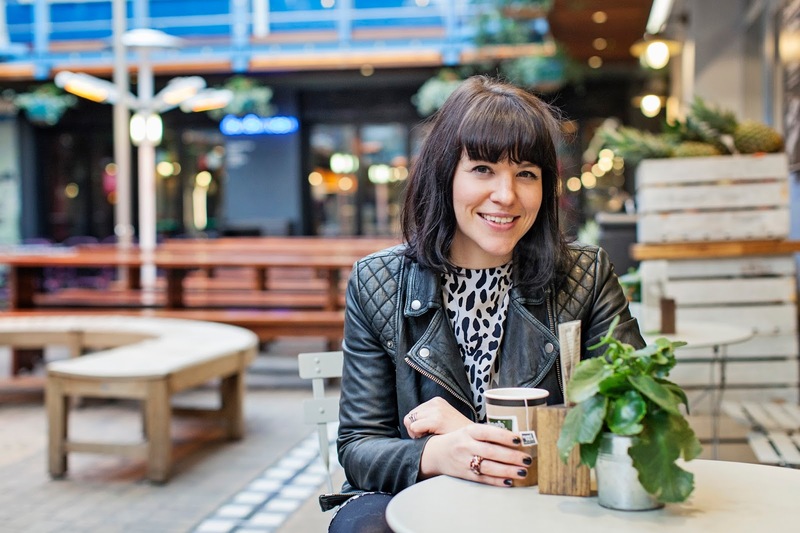 We've nabbed her for 5 minutes to chat all things beauty & business-y. First of all, tell us about you & the fam. I’m Steph, I’m married to Doug and we have two kids – Buster (5) and Mabel (3). I started Don’t Buy Her Flowers in 2014 selling thoughtful gift packages for new mums, mostly because when I had my kids it struck me as crackers that the go-to gift for someone that has had a baby (96%) is another thing to care for. After that if a friend had a baby I’d send them a little package with a magazine and chocolate or drop a meal on their doorstep if they lived near, and let them know I was thinking about them. Their reaction was always really emotional and it just confirmed for me that it’s mum that needs looking after. How did the idea for Don't Buy Her Flowers come about? I returned to my job in brand and marketing after both babies, but found juggling work and two kids pretty tricky. I couldn’t shake the idea for the business, and at the same time I realised that I needed to find a way that I could work more flexibly so I could be at the school pick ups. 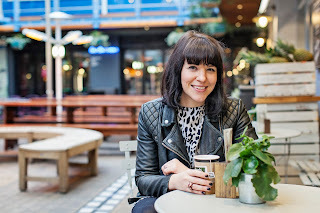 I started a blog first, kind of a stepping stone to starting a business as it meant getting stuck in on social media and managing a website, and it went really well so it gave me the confidence to quit my job and start the business. It was (and still is!) terrifying but also very exciting. Since we launched we've increasingly had orders for birthdays and get well and any time someone wants to send TLC, as well as new mums. How do you decide which gorgeous brands you work with? For choosing products, the key things are 1) they actually help the recipient in some way, whether to relax or feel special, or something more practical like COOK food vouchers, and 2) they’re great quality. I use mostly British companies as there are so many good ones it seems daft to go further afield, and it’s really nice to be part of that network. The Recovery Package, for example, has a Facial Scrub from Skin & Tonic, Coconut Oil from Sister & Co and Body Cream and a Scrub from Laughing Bird – they’re all British companies that use natural ingredients and actually all were founded by women, which is v cool. What's your ultimate multi-tasking mumma product, and why? Dry shampoo. Not exactly multi-tasking, but when you haven’t got time to wash your hair – so most days when they’re small – it’s everything. And allows you to crack on with the multi-tasking. I’m in to dresses, tights and my red M&S boots at the moment. I spied them on Dress Like A Mum and have worn them a lot over winter. I’m trying to work out if M&S has got cooler or I’m just getting older… I also love a bit of leopard print. Have you ever had any terrible hair cuts or beauty disasters? When I was 16 I died the front bits of my hair blonde, like Geri. But they went ginger. I also once used one of those caps where you pull hair through the holes to give myself highlights? Yeah, I ended up with hair with a leopard print pattern on it. Oh and some friends and I bleached our moustaches when we were about 14 and left the cream on too long so had red patches on our upper lips which were far more noticable than our non-existant moustaches. I need to stay away from bleach, it would seem. Top three 5-minute-face products - go! Mascara ALWAYS makes me feel better about my face! I like YSL False Lash Effect – the bigger the better - especially when you’re sleep deprived. Skin & Tonic lip balm for super soft lips. I’ve always had kind of nothing hair – bit of a curl if I leave it to dry, kind of flat. Anyway, I’ve finally found a combination that gives me thick-looking hair and a ‘style’, which makes me feel all grown up! I use Aveda Abundance Shampoo & the Conditioner, Kerastase Spray a Porter in wet hair and then Trevor Sorbie Magic Dust for styling. Favourite mummy product or item you've come across? My Tiba & Marl bag is pretty special – I’ve got the Elwood and always get comments on it. I had a prolapsed disc so have to be careful carrying stuff, so having a rucksack that doesn’t make me look like a foreign exchange student makes me happy. G & T or Cuppa Tea? Oooh, I’m about to go on holiday so let’s go with G&T. Slurp. You can also find Steph blogging at her SISTERHOOD blog - which we are HUGE fans of.